An elderly woman in China. In India, the elderly are held in high regard. In a typical Indian joint family (meaning two or more generations of siblings and cousins living in the same house), the eldest members head the household. Advice is always sought from them on a range of issues, from investment of family money to nitty-gritties of traditional wedding rituals and intra-family conflicts. And this is not just passive advice; their word is final in settling disputes. The elderly are often the most religious and charitable members of the family. In India, religion and charity are often closely linked, and the elderly lead the way in giving to the needy. Grandfathers and grandmothers play a significant part in bringing up children. From babysitting and storytelling, to cooking for and feeding the kids, they provide a unique kind of loving care, which is one of the best parts about growing up in a joint family. The different Indian regional communities have strong internal strong support systems for their members, and veterans of these groups are critical to networking within these groups, providing younger people with vital introductions which lead to business and romantic opportunities (think arranged marriages). There is a lot of social stigma associated with sending your octogenarian grandparents to an old-age home or mistreating/disrespecting them. As with all my Chinese related answers, I want to make clear that China is a vast country with distinctive cultures. My answer is based on my own experience and observation. While I try to cover the bases, it’s by no means the one and only truth. Traditionally, elderly people in China were held in high regard. They’re the patriarchs/matriarchs of the family, and enjoy almost absolute power over their children. Chinese culture has the concept of “孝顺” which roughly translates into: respect and obey your elders. There’s even a saying “百善孝为先“ (of all the good virtues, respect your elders is the top most important one). We have books devoted to various good deeds children did for their parents, and an entire ethical code on how children should behave towards their parents, including: do not disobey, do not travel far while your parents are still living (so you can take care of them), so on and so forth. Adult children are expected to live with their parents, to take care of them. But as Chinese society gets more and more westernized, we started to accept the idea of adult children should live alone in their own apartment. Sometimes it’s due to working or going to school in a different city. And more and more people are comfortable with sending their parents to a nursing home. One curious phenomenon is that grandparents are the default babysitters for young professional couples. Because of the one couple one child policy, Chinese young people are under tremendous pressure to have kids early (to ensure child’s health). But both of the parents are working professional, so grandparents become the primary caretakers of children. For the young couples, many aren’t all that enthusiastic about having kids in the first place, it’s a easy solution. They can still enjoy their lives while having their parents taking care of the kids. So a typical Chinese household would be like this: both parents are in their late 20s, both are working professionals. Their parents (normally either from the husband side, or from wife’s side) are the ones who bought the house/apartment for the young couple, so they live with them as well, and take care of the children and regular house work, including cooking, cleaning, picking up the kids from school … all that. Three generations living under one roof is rather common, and it’s quite normal to hear kids talking about how they grow up with their grandparents. There are, of course, many cases when elderly people being abused living with their children, or being abandoned. 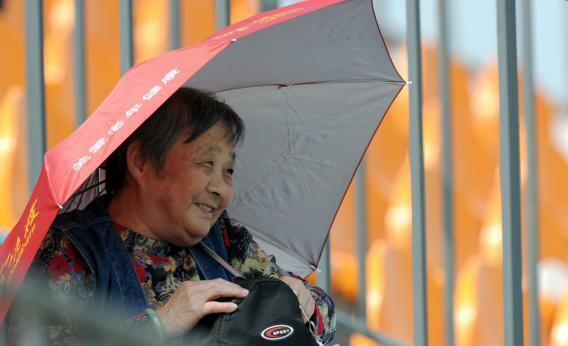 But in general, elderly people are respected in China and still play vital roles in common household. What do the Chinese think of India? What group of people has (or had) customs, traditions, or beliefs that typical people living in the 21st century would find most strange?